Puberty is a stage that comes with inevitable changes in both girls and boys. In men, it leads to the development of hair in areas such as the face, armpits, chest and even the groin. The extra hair comes from the production of androgens which are hormones that are produced during this stage. It is normal to develop facial hair, and at some point, you may be forced to shave it with a razor. First time shaving can be tricky since your skin is delicate and you don’t want to cause any irritation on it. That is why you need to get a razor that improves your appearance and also protects your skin. The market offers all brands of razors, but they fall under two categories including electric and disposable razors. As you look for a good type, you should ensure that you should get one that is in line with the contours of your face. Today, we will help you get the ideal razor by talking about the famous brands in the market. We will also share a guide to direct you on the significant factors that you should consider during your purchase. Let us start with a summary of what our discussion entails. Enjoy! Your first razor should feel smooth and comfortable on your face. Braun electric shaver offers these and much more. It is a solidly built electric shaver that is ideal for trimming both short and long facial hair. Unlike some shavers, these do not produce a lot of noise when in use. It offers high performance when it comes to shaving wet hair. The price of Braun electric shaver is fair compared to other brands. If you are on a budget, you should choose this shaver. We can attribute its high performance to the features of this razor. 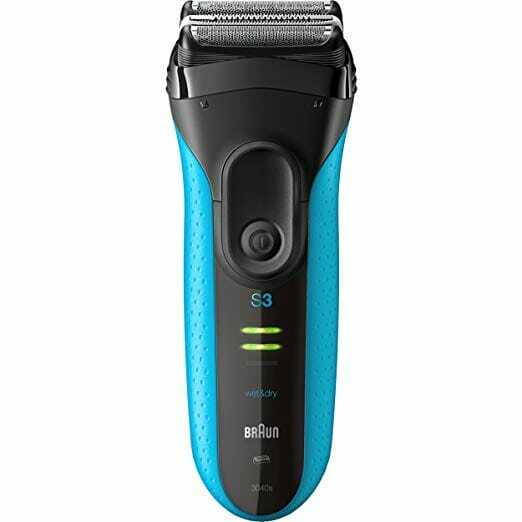 It contains a three blade setup that can help you eliminate all the facial hair to leave your skin feeling smooth and hairless. The shaver also includes two foils that take care of the hair that is close to your skin. The middle trimmer manages long hair strands on your face. There is also a micro-comb that ensures that the shaver does not leave behind unwanted hair. It feeds the hair to the cutters. Though the three blades are part of a single cassette, they can move independently. The first thing you note right from the moment you hold this shaver is how light it is. This ensures that you can shave comfortably without suffering from hand fatigue. You also get a secure grip thanks to the inclusion of the blue rubber inserts. Your razor remains in position even when it is wet. Manufacturers of Braun electric shavers use glossy treatments and matte to produce this brand. That is why it feels robust and long-lasting. They use rubber to make the power button so that you cannot turn it on if you are not ready to start shaving. Unfortunately, the glossy plastic used on the shaving head can be slippery when the razor is wet or when you are using shaving cream. One of the safety measures that the producer has taken is making Braun electric shaver cordless. It, therefore, comes with rechargeable batteries that you can use for about 45 minutes on a full charge. It takes minimal time to charge it. Alternatively, you can go for the 5-minute quick charge to power the razor and save time. Braun electric razor excels in comfort and performance. It remains close to your skin and shaves short hair adequately. You may have to go over areas with long hair more than one since it is not very effective in trimming long hair. Most users report that they don’t experience any discomfort using the shaver. You can, therefore, use it for the first time without worrying about razor burn or skin irritation. You can conduct both dry and wet shaving effortlessly. It is a suitable choice if you plan on shaving on a regular basis. Are you are lady looking for a razor to eliminate hair on the legs for the first time? It is impossible to go wrong with Remington foil shaver. This is a popular brand that is known for its unique features which make it convenient to use. It is a high-quality shaver that comes at a low price. Men can also use it to maintain a clean shave on a regular basis. The sophisticated packaging is clear evidence that you are purchasing a quality brand. The razor is equipped with a sleek handle that secures your grip during use. You can quickly locate the buttons on the shaver which you use to achieve different effects. It is a powerful machine that delivers good results. The size is small for you to hold it comfortably in your hand. You can even bring it along when you are traveling. Though most electric shavers are cordless, sometimes, you may need a cord when you forget to charge your shaver and don’t have time to charge it. Remington has a dual power source so that you can use the cordless or corded option as per your need. You can easily plug it to an electric outlet or use batteries. It is, therefore, a flexible brand that always has your back. It takes one hour for it to charge. You can also use the quick charge option which allows you to charge the razor for only five minutes. The three options make it easy for you to maintain a clean shave any day any time. Do you have long strands on your face? You can get rid of them quickly using this shaver that uses the interceptor technology. The trimmer which uses this mechanism is located between the two foil blades. It behaves like a comb and a scissor since it aligns the long hair strands on your face then shortens them. The blades later shave off any hair that remains on the area. You can also trim areas such as your mustache or sideburns using the pop-up trimmer on the side of the shaver. This can, however, be tricky to use when you are doing it for the first time. Observe how your father or brother does it and learn the skill so that you can make those sideburns look hot. If you are using a razor on a daily basis, you need to maintain it well so that it gives you good service. This brand is easy to clean since the head is washable. You can rinse it under running water before storing. Though Remington shaver does not have a cleaning station, your package includes a brush that you can use to get rid of excess hair on the foils. Remington foil shaver gives you value for your money. It is smooth on your skin and convenient to use. Do you have a lot of contours on your face? You need a good razor when you decide to start shaving for the first time. This provides a close shave on both short and long hair thanks to the use of dual precision blades. Unlike other razors, Philips Norelco is a waterproof design that allows you to conduct both wet and dry shaving. You get the freedom to shave with or without some shaving cream. The price also makes it ideal for beginners since it is pocket-friendly. The manufacturer believes in the product and offers a two-year warranty to customers. Most men have trouble getting rid of long hair around the neck and chin area. Such facial hair tends to grow in different directions making it look unpleasant. The producer equips this brand with dual precision heads to take care of such problematic areas. The shaver does a good job since it lifts hair and cuts it close to the skin. The razor contains three cutting components which pivot inward separately. The blades can, therefore, follow the contours of your face. They, however, do not pivot outward like other brands from Norelco. One of the best techniques of shaving that you should learn when you are new to it is how to trim long hair strands before focusing on short, thick hair. You can do this with the help of the pop-up trimmer. It works well on sideburns and the area below your nose. This brand comes with a small interface that features the crucial elements such as the status of the batteries, charge indicator and quick charge option. It is a bit different from razors which have large LED interfaces. With a waterproof head, you don’t have to worry about the maintenance. Place it under water and use a brush to get rid of hair on the blades. Be careful not to damage the foils. Remember to use sheen oil on the razor so that it does not rust from regular cleaning. The mechanism allows you to dry or wet shave using cream. For sensitive skin, you should use cream while shaving facial hair. The cream adds an extra layer on the surface to prevent the metal from getting direct contact with your skin to minimize the risk of irritation. The problem with this cordless shaver is that it takes time for it to recharge fully. You may have to wait for 8 hours if you don’t choose the quick charge option. It can run for 50 minutes if you charge it fully. Most users like the way Philips Norelco take care of both short and long hair. It provides a close shave and makes use of a technology that enables dry and wet shaving. The razor works well on problematic areas and can nicely trim your sideburns. One of the drawbacks, however, is the use of a weak motor which makes it charge for many hours. Manufacturers of good quality razors are keen on technological advancements. This brand makes use of advanced technology to give you a pleasant shaving experience. Right from its design, you can tell that the producer is keen on details. It is an affordable razor that provides value for your money. It provides you with a clean shave thanks to the mechanisms used in the making. This razor is a suitable one for a beginner who needs a beard trimmer to use once in a while. Your box contains the saver, a power cord, cleaning brush, and a protection cap. The shaver takes care of all the flat and stubborn hair that other razors miss. The dual precision heads lift flat hair on areas such as your chin and cut it off easily. You don’t have to keep on passing the shaver on the beard more than once. It shaves with precision since the heads follow the contours on your face. It can shave both short and long strands of hair. This mechanism ensures that the brand is waterproof. It also allows you to perform both dry and wet shaving. You can use a shaving cream or even shave while taking a shower. Since the shaver is waterproof, it makes cleaning easy. Rinse it off under a tap and clean the blades gently using the provided brush. Avoid using cloth since this may damage the head. Most people fall in love with the ergonomics of this brand. It may be a bit heavier than other brands, but it comes with high-quality materials. Some of the parts are made from rubber to increase the grip during wet shaving. The head is equipped with the flex and float mechanism. It moves in different directions to cut hair on the entire region. The blades work under low friction to prevent them from getting too hot. You can, therefore, take your time shaving without worrying about a razor burn. Unlike other brands from the same company, this charges within an hour. It makes use of Li-Ion batteries and can run for 50 minutes when charged fully. Make use of the LED indicator to tell the status of the cell. If you can’t wait for an hour for the battery to charge, you can use the quick charge option that lets you charge it for a few minutes. The difference between Philips Norelco 4100 and 4500 is that the 4500 comes with a docking station used for charging while 4100 does not have this feature. For this reason, 4100 is cheaper than the other version. You may not need docking station since this brand provides the same performance as the previous version at a lower cost. This brand provides you with nice trimming options such as dry and wet shave. The battery life is impressive, and you don’t have to charge it for many hours. If you have thick beards, you should avoid this Phillips Norelco. You cannot afford to start your shaving journey with an incapable razor. You should choose Panasonic Electric shaver since it is reliable and pocket-friendly choice. The brand is ideal for a beginner since it is easy to use and can make you a pro in shaving within a short duration. This is the brand that you should also choose if you have sensitive skin. It does not irritate and leaves your skin feel like that of a baby. You can use it every day to maintain a clean shave or once in a while if you have a beard that grows slowly. Panasonic is a top-selling brand since it features a superior liner motor, solid make and sharp blades. One feature that makes Panasonic brands unique is the foil shaving system. The manufacturers use stainless steel foil to make the shaving head. It pivots inward to increase comfort and efficiency when shaving. You can clean the shaving block separately from the rest of the razor by holding down the release buttons on the foil frame. The pivoting function located on the shaving head allows it to move in different directions. Beginners often face problems trying to shave tricky areas. This brand enables you to lock its head into a secure position using one of the switches on its body for more precision in such situations. Panasonic offers you three nanotech blades that you use to trim long or short hair. The blade at the center of the two outer folds is designed for shaving long hair while the outer foils cut it at skin level. The blades operate at a 30-degree angle to avoid any difficulties such as tugging. The razor makes use of a linear motor that operates at high speed. The motor powers the blades to move in opposite directions. This reduces noise and vibrations. It also comes with a pop-up trimmer for you to work on your mustache. Though the shaving head is bulky, you can slowly learn how to trim your sideburns. To make it visible and efficient, try removing the blades and the foil frame when trimming the hair on the sides. Panasonic does not limit you to a specific type of shaving. If you prefer to shave with or without shaving cream, it is your choice since it offers both functions. It is also waterproof meaning you can shave while showering. The battery determines how well a cordless shaver performs. You need to leave this razor for about an hour for it to charge fully. It can run for 45 minutes if you charge it fully. Panasonic shaver is convenient to use anywhere around the world. It features an automatic voltage conversion which makes it adapt to different electric outlets of various countries. You will also like the LED display which guides you on how to maintain your shaver properly. It contains indicators such as the battery power percentage so that you don’t run out of power unexpectedly. The shaver also notifies you on when to clean it. Intelligent right? Panasonic shaving razor is a sturdy brand that provides an excellent grip. It is comfortable to hold, and the weight does not interfere with its performance. 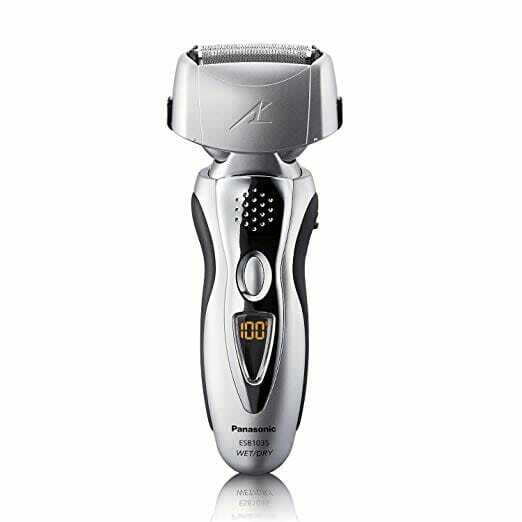 Panasonic is an entry level razor that helps you develop a shaving culture from a young age. You will enjoy the experience and look forward to shaving every time. For sensitive skin, avoid dry shaving using this razor. Get a good shaving cream so that it is not aggressive on your skin. For the price, it is a razor that is worth your consideration. The first shaving experience can only be nice if you choose the right razor. You can eliminate concerns such as irritation by following the criteria below. As a beginner, it is normal to worry about the cost of razors. Most teenagers who develop beards at an early age like purchasing their first razor as they transition into adulthood. Try to compare different prizes against the features to get an ideal type. Avoid investing in the cheapest razor you come across since it may have a lot of drawbacks. Cheap razors irritate the skin. Try to invest in a reasonably prized razor especially if you have sensitive skin. 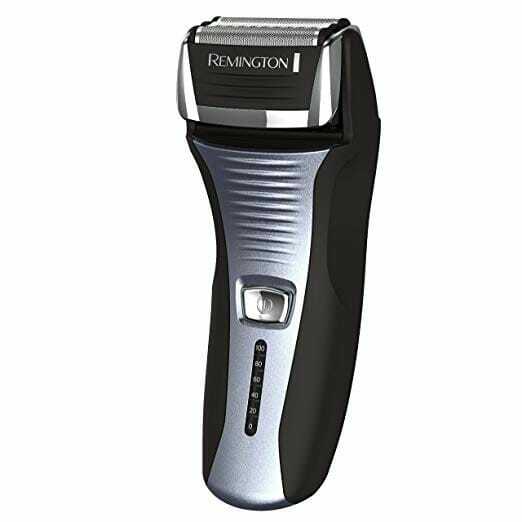 Consider aspects such as a warranty or money back policy as you compare prices so that you avoid losing your money if you don’t get the best razor. Some companies offer an unlimited warranty. The durability of a razor is another crucial factor that you should not overlook. Some razors are manual while others are electric. For beginners, an electric razor is both convenient and cheap. If you go for this option, ensure that you choose a razor that has a durable blade so that you can use it for long. How comfortable does a razor feel? The level of comfort is an important aspect that can determine how long you use the device. You don’t want a shaver that has rough blades since it can harm your skin. Such razors also cause cuts and bumps on people with sensitive skin. Ensure that you choose one that feels soft and gentle on the skin. It can give you a comfortable shave and prevent you from insecurities. The design of your razor also determines how comfortable it feels. Choose a shaver that features an ergonomically designed handle for easy management and free operation. You should also be keen on the availability and cost of replacement parts such as the blades. You don’t want to buy one which is hard to get replacement parts if you need them. Such elements are crucial since they prolong the lifespan of your machine. Such parts should also be affordable so that you don’t spend too much on a razor. The weight of a razor can determine how long you can hold it securely while shaving. Avoid heavy weight razors which cause hand fatigue during shaving. Light-weight razors are better than heavy ones since they put you in control and remain comfortable. You should choose one that comes with safety features to keep you or any other person from harm. Features such as twisting knob secure the blade such that a young one cannot harm themselves as they try to emulate you. 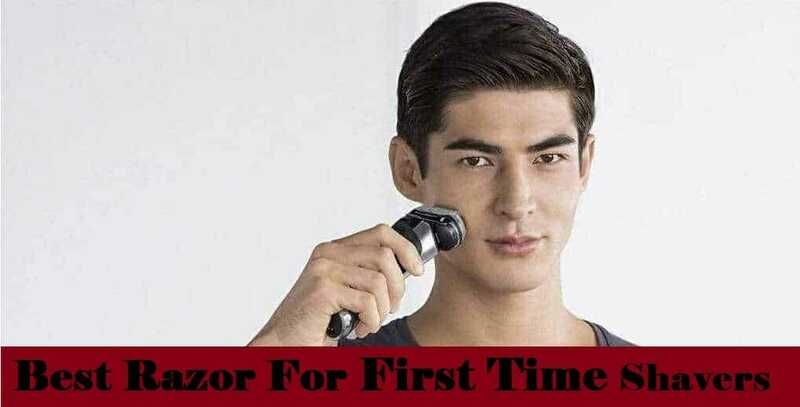 Every first-time shaver can benefit from the reviews we have discussed above. We have covered different brands in details for you to understand the crucial aspects of razors. Let the criteria above guide you to invest in a safe and comfortable razor. All the best!